Kira is the Founder of Ignite HR Solutions, based here in San Ramon. 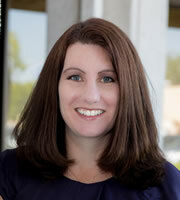 Kira has been in the startup human resources world for nearly twenty years running a series of HR departments over several startup companies in routing, cyber-security, and even an online baseball platform, and now as an entrepreneur running Ignite HR, which provides outsourced human resources services to small and emerging businesses. Someday she'll write a book (with names and places changed, of course!) about all the crazy things she's seen in the workplace, but for now, she's content to help her clients through the maze of California employment law. Kira holds both the SHRM-CP and the SPHR designations. Outside the HR world, Kira is an active member of the community and volunteers as a Girl Scout Leader and as the current VP of Communications for the San Ramon Valley Council of PTAs.